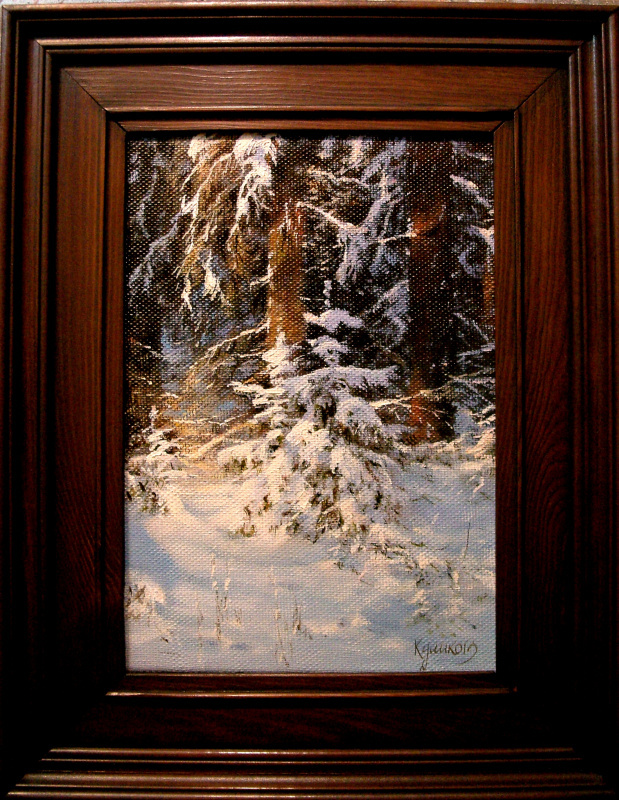 Since childhood, independently engaged in drawing and painting. He loved to go to the sketches. 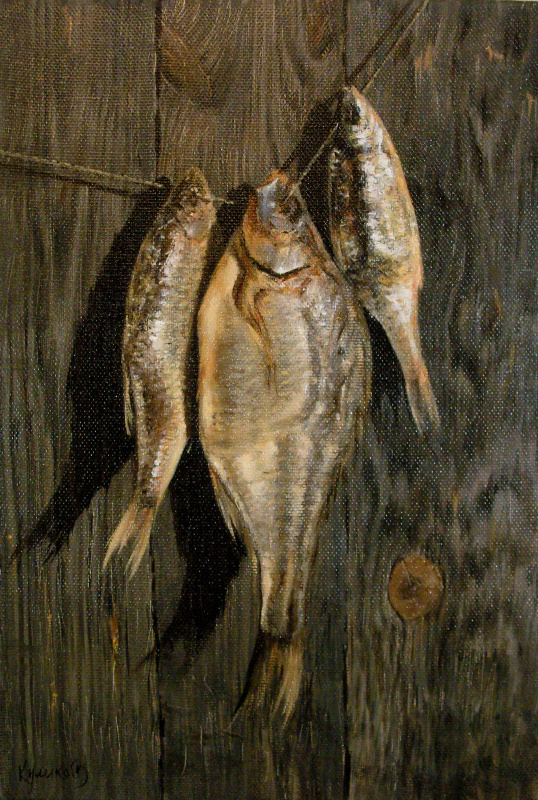 He made sketches, wrote nature, still lifes, portraits of people he loved and friends. And even in the army he did not give up his business — the sketchbook was always with me. 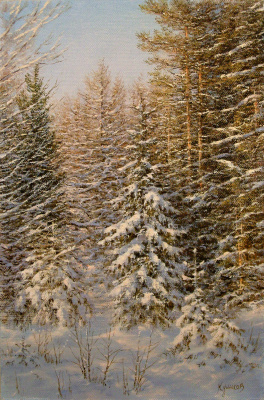 In 1984 he graduated from the Kovrov three-year construction school by profession as a designer decorator. He worked as a decorator at the construction and industrial organizations of his city. 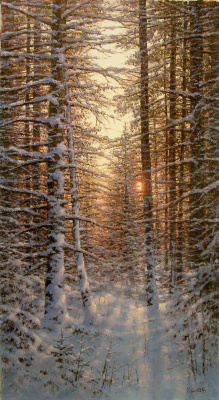 But the love of painting and creativity took its toll, and since the 90s I have been doing only my favorite work. 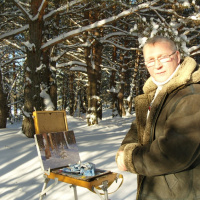 Sometimes he took part in the city exhibitions of amateur artists of Kovrov. 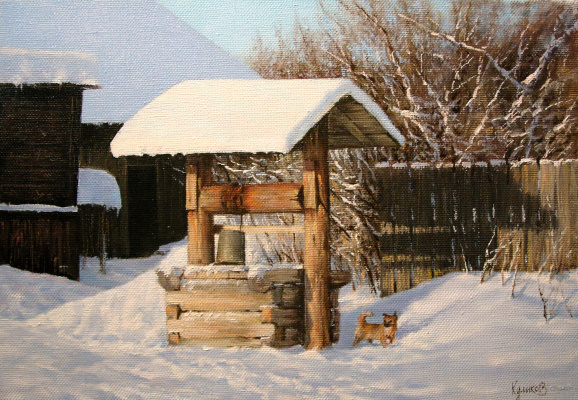 I implement my works in art galleries of cities: Suzdal, Vladimir, Moscow, Kovrov, I work by individual orders. 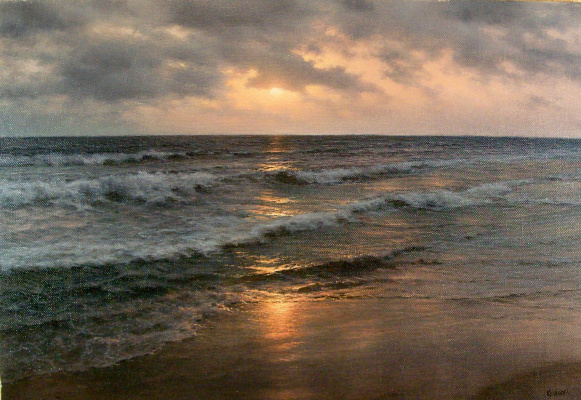 German Aleksandrovich Kulikov added an artwork Sunset in the Indian Ocean. Sunset in the Indian Ocean. 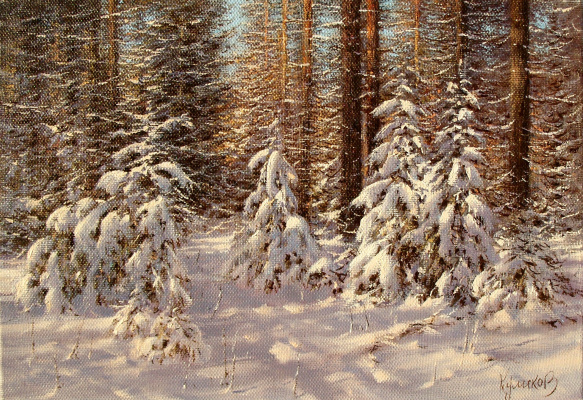 Christmas trees in the forest.